The APEC Committee on Trade and Investment (CTI) closed its last discussions yesterday at the third Senior Officials Meeting (SOM III) by debating investment liberalization and the development of transparency in business and structural reform. The CTI meeting, the last of the year, was geared towards finalizing reports on its accomplishments to be announced at the APEC Ministerial Meeting in November. The meeting’s work includes the development and delivery of reports on regional trade arrangements and free trade agreements, as well as a report on the final review of the Trade Facilitation Action Plan 2001-2006. This final review will propose a framework to deliver a further 5% reduction in transaction costs for regional trade. Members also anticipate providing Ministers with an expanded work program on investment. Another hot topic on the last day of talks was the implementation of the Busan business agenda, which includes creating a more liberal trade and investment environment while ensuring transparency in all reforms. Viet Nam contributed much at the meeting to the drawing of an action plan to implement the Busan Roadmap that was initiated at APEC 2005, held in the Republic of Korea. Mrs. Pham Quynh Mai, Deputy Head of the APEC Asia-Europe Meeting (ASEM) section, said Viet Nam will play an important role in the operation of APEC and the drawing of APEC documents in the next few years. Viet Nam has put forward many initiatives before CTI, especially initiatives regarding trade facilitation. For the occasion of the meetings conclusion, the central ancient town Hoi An will organize a festival themed “Hoi An – Colors of culture” for SOM III and related meetings starting tomorrow. The CTI meeting is among the most important meetings of SOM III, currently hosting all 21 APEC member economies. 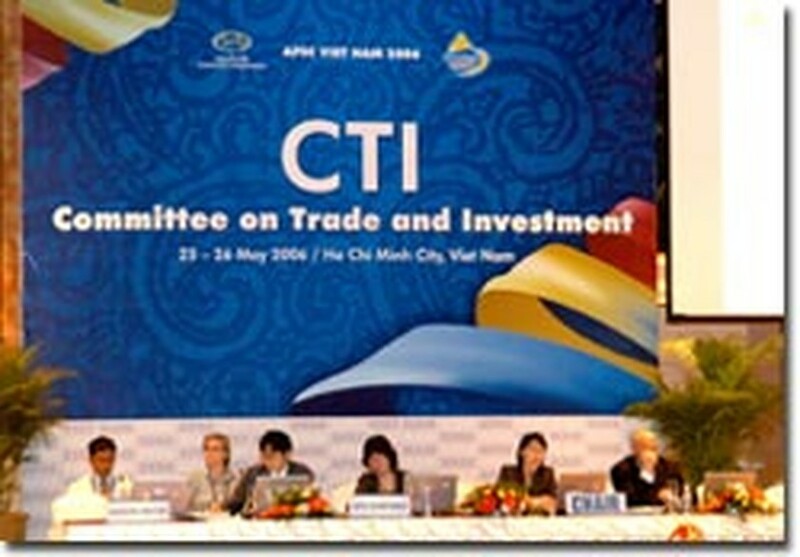 CTI is the third largest of APEC committees.